Better reading month - 8 finishes. I'm still about 5 books behind schedule for 100 books this year, but it's not like it's life or death if I don't finish! There was plenty on my plate this month. Amongst it was the chance to attend a book launch for Questionable Deeds, written by Michael Burge from the blog Burge Words. It was a great night at Avid Reader Bookshop in Brisbane. Listening to Michael talk about his journey with his partner Jono was incredibly moving. Questionable Deeds is my definite pick of the month for September and I urge you all to read it. I'm looking forward to reading more of Michael's work with Closet His, Closet Her and Pluck both on the Kindle ready to go. The book launch also gave me the chance to do something I don't do a lot of any more - browse a bookshop! 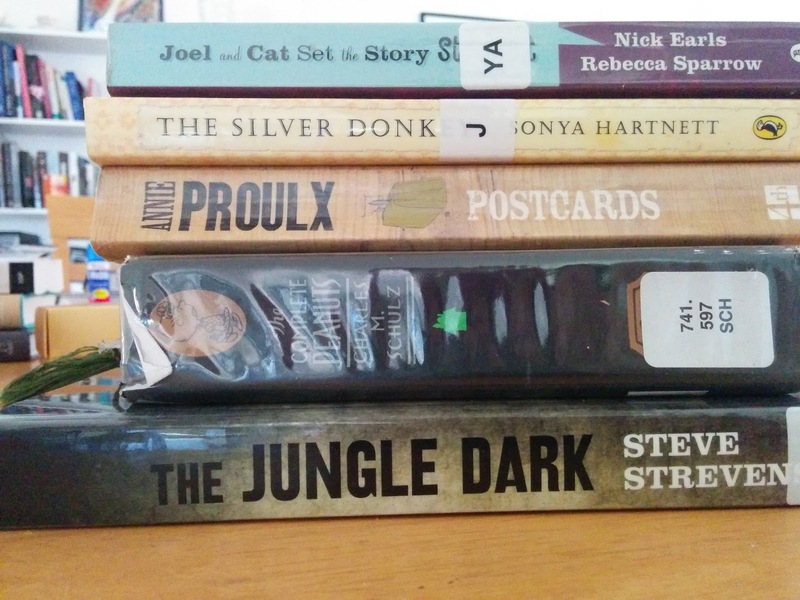 More often than not I buy my books for the Kindle and any hard copy I read comes from the library. This has encouraged me to add another part to my monthly review called looking forward, where I'll highlight what I hope to read in the next month, whether it be library, hard copy purchase or Kindle - but more about that later. First up, let's go with some September stats. As I said before, Questionable Deeds is my pick this month. A Game of You: Sandman Volume 5 is, for me, the best Sandman so far. I'm trying to cut down on my library list at the moment, so will wait a bit before I put the next volumes of Sandman and Peanuts on request. Midnight's Children by Salman Rushdie and Coin Locker Babies by Ryu Murakami were both book group reads this month. 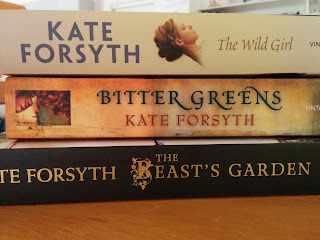 There was also a third (we'd had trouble getting together recently so ended up having an extended lunch meeting and discussing all three books. )called The Swan Book by Alexis Wright but I simply could not get my head around it at all. 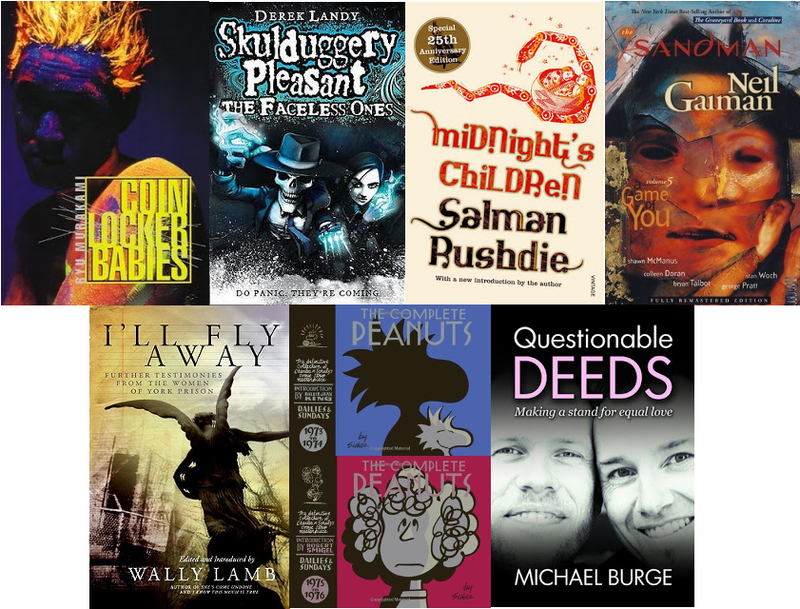 Only one audio this month - The Faceless Ones, the third in the Skulduggery Pleasant series. The ending of this was a definite hook into the fourth and I almost went there straight away, but instead have been indulging in some podcasts from This American Life and Richard Fidler's Conversation Hour. So what's next? 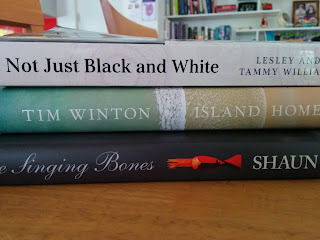 As I said earlier, I have a few books I bought while at Michael Burge's book launch, including a new Tim Winton (be still my beating heart!). 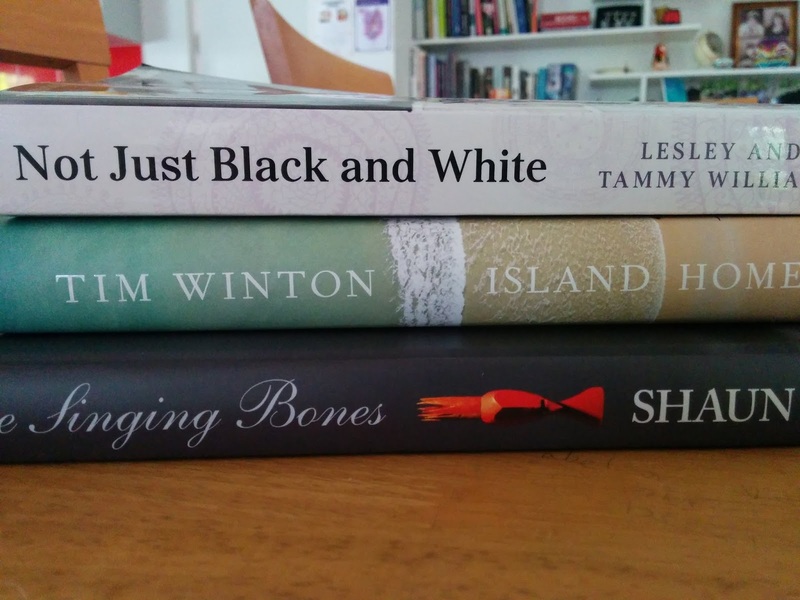 I actually bought Not Just Black and White for mum, but I'm hoping to read it before she gets here on the 13th. The bottom one is Shaun Tan's The Singing Bones, a book of his sculptures inspired by Grimms fairy tales. 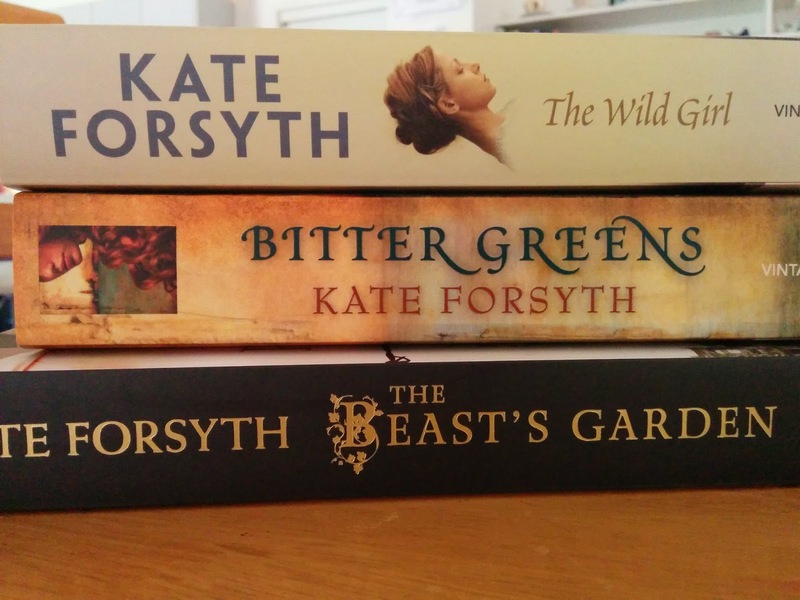 Speaking of fairy tales, we had Kate Forsyth visit the library I work at a little while ago and I was lucky enough to be able to listen. I also got to purchase a couple of her books and get her to sign them. I regret not getting a photo with her, will make sure I do next time! Finally, there is my stack of library books. It's not too bad, but I do need to get through them as I can only renew them so many times! On 21 July 1969, 3 Platoon, A Company, 6 Battalion, Royal Australian Regiment forced their way through the damp Vietnamese jungle on a patrol as part of Operation Mundingburra. With the insects biting and the humidity sapping their strength, the platoon established a safe harbour and listened as the news came across the radio: Neil Armstrong had become the first man on the moon. Moments later, their skipper, Platoon Commander Lieutenant Peter Hines, stepped on a mine and exploded in a maelstrom of dirt, smoke and blood. Platoon Commander Lieutenant Peter Hines was my mother's cousin. She has spoken of him frequently and so when I happened to flip this over and read the blurb at work one day, I knew I had to read it. She herself was unaware of the book so she too will get to read it when she visits later this month. As for the Kindle, September saw me buying Closet His, Closet Hers and Pluck, both by Michael Burge, Brother of the More Famous Jack by Barbara Trapidio which is or October book group read and The Martian by Andy Weir which is what I am currently reading after seeing the movie on Thursday night. Great movie, highly recommend it. Really enjoying the book as well. So that was my September and my plans for October. What's your month been like?